Tech giant to build trans-Tasman partner ecosystem on Google Cloud Platform. Google has acted on plans to build a local channel across Australia and New Zealand (A/NZ), targeting key cloud players through the appointment of Ash Willis as head of cloud partners and alliances. Based in Melbourne, ARN can reveal that Willis is charged with creating an indirect ecosystem of partners on both sides of the Tasman, as the tech giant seeks to leverage the imminent local launch of its Google Cloud Platform (GCP) in 2017. “Google Cloud partners are essential to our commitment to help enterprises innovate faster, scale smarter and stay secure,” Willis told ARN. “An open platform encompassing diverse partners maximises the possible surface of innovation for customers, letting them move more quickly. Willis’ appointment aligns with long-held plans by the tech giant to build a cloud-centric channel locally, in a bid to lure the enterprise onto GCP. Since staking its claim as a serious cloud contender across the enterprise, backed up by an expansive list of heavy hitting customers migrating to the skies, the vendor realises the channel can help gain a Google voice along the corporation corridors of power. To achieve this, Google recently revealed plans to bolster its partner program through the cloud, offering low interest loans, co-funding deals and improved rebates. Described as the tech giant’s largest endorsement of the channel to date, the revamped program will reward technical excellence through specialisation, while allowing partners to tap into the entire Google Cloud stack. “Google’s Cloud offering is incredibly broad, we have use-cases that cover businesses of all sizes and types,” Willis said. With a wider Asia Pacific and Japan remit also, Willis joins from Amazon Web Services (AWS), where he headed up training and certification across the region for almost five years. Prior to joining AWS, Willis held senior channel roles at VMware, following engineering stints at Hewlett Packard and Citrix during the mid-2000s, having originally started out in distribution with Express Data. In his new role, the channel specialist will manage “significant investment” in Google’s Cloud business in the region, while working to build relationships with key partners, spanning the entire ecosystem. “We’re investing in partner resources to identify partners that we can lean-in with to build a significant relationship, while ensuring our global programs meet the needs of the local channel,” Willis added. As reported by ARN, the revamped partner program encompasses Google Cloud partners from across the G Suite, GCP, Maps, Devices and Education ecosystem. Specifically, sales training and product development credits will soon span all products, making it easier for partners to train staff members and build solutions across all Google Cloud products. In addition, the vendor said new training and revenue goals to advance in the Google Cloud Partner Program now encompass G Suite, GCP, Maps, Devices and Education, whereas previous requirements were based on a single product. 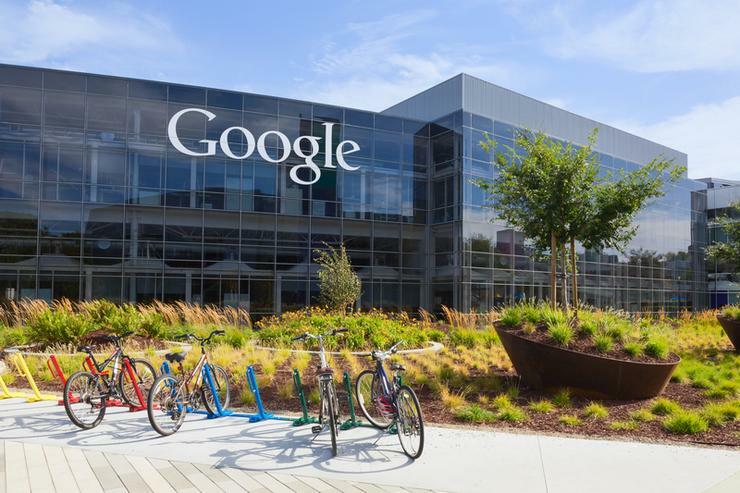 Furthermore, Willis said Google is improving partner technical skills, providing an environment that allows the channel to build “profitable long-term business relationships” with the vendor. Delving deeper, Google also recently revealed plans to introduce specialisations across four key areas for the channel, including app development, data analytics, machine learning and infrastructure. Available for partners capable of demonstrating “strong customer success and technical proficiency", Accenture is currently the only provider to be recognised across all four segments, with PwC in three. As a result, Google is currently on the hunt for a local global system integrator (GSI) partner manager, as it targets the large consultancy houses across A/NZ. “Google is just building a channel and it’s very early days,” Gartner research vice president of infrastructure software Michael Warrilow told ARN on the ground at Google Cloud Next ’17 conference in San Francisco earlier this year. As cloud becomes front and centre across the industry, Warrilow said Google will be motivated by two core priorities in 2017. “They are trying to woo the partner community while trying to prove their credentials within the enterprise,” he said. “They are doing a good job on both fronts and it’s a huge improvement from over a year ago.